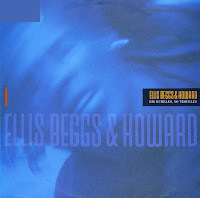 The album 'Homelands' by Ellis, Beggs & Howard was not a successful one, despite the fact that their debut single 'Big bubbles, no troubles' was a hit in some European countries. 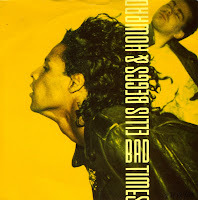 The second single from the album, 'Bad times', was a flop. Despite this, a third single was released, the uptempo 'Where did tomorrow go?'. Unfortunately, this single also failed to make the chart. The trio started to record a second album in 1989, but it was not released in the end. The tracks did surface several years later as 'The lost years volume 1', including contributions from Warren Cuccurullo and Robert Fripp. 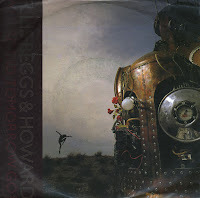 The debut single of Ellis, Beggs & Howard, 'Big bubbles, no troubles' was released in the summer of 1988. It was a hit in the Netherlands (peaking at number 16) and several other European countries, though it only made number 41 in the UK singles chart. Briefly after its release, I found the cd-single at discount price. The picture disc included two mixes of the song. It was only after some time that I realised I didn't have the single version of this song. And so, when I found the single in 1995 I was pretty happy. Nick Beggs performed this song live as part of his set as a 'support act' during the November 2007 European tour of Kim Wilde. He performed it armed only with a backing track and a Chapman stick. The song still sounded as fresh as ever!